Whether you’re currently breezing through second semester or you’re struggling to get up for your class at noon, the final couple months of school tend to challenge almost every student in at least one physical, emotional, and/or mental way. These challenges, in addition to school and the exams that loom in the distance, can lead to a hectic, busy lifestyle where it feels like all you can do is keep working, without any sort of break. However, during these busy times, the best thing to do is to find some time for yourself to relax your mind and soul. Whether you like to exercise or not, I find that getting outside on a nice day is one of the best remedies for stress. When I have a particularly busy week, I like to find time to go on a long hike or walk through the neighborhoods and parks near my dorm. One of my favorite places to walk is around the Chestnut Hill Reservoir, but if you go, make sure to wear an extra layer. It’s always about 5-10 degrees colder because of the wind. If you are looking for more of a challenge like I usually am, I suggest going on a long run through the Chestnut Hill neighborhoods or into Boston. Running is one of my favorite ways to break a sweat while also shedding the weight of my stressful week. Whenever I go running, I use the MapMyRun app on my phone to track the path of my run as well as my mileage and speed, but other apps like Strava, Nike+ Running, and RunKeeper also work great if you are looking to keep track of the logistics of your run. As a newer coffee enthusiast, I never went to coffee shops to study or read when I was in high school. However, since I started college, I’ve discovered that one of my favorite ways to de-stress after a particularly taxing day or week is by walking or Ubering to a nearby coffee shop or cafe. 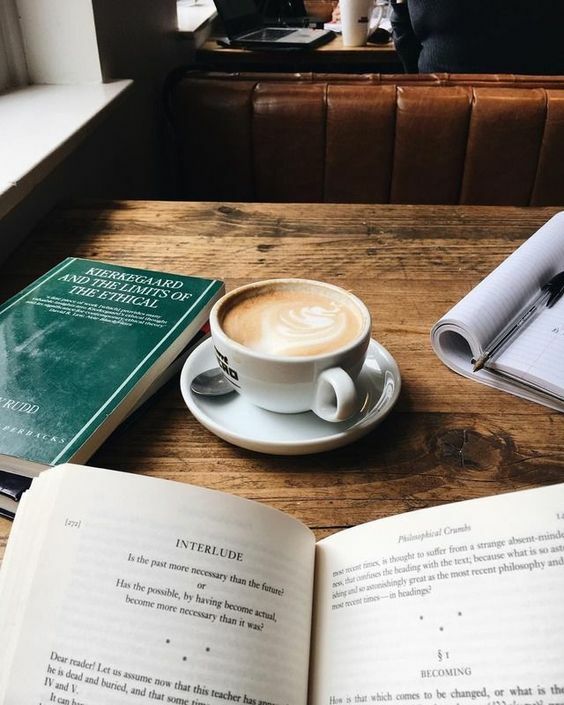 I like to bring a book or some homework with me to the cafe so that I can drink a coffee and eat a sandwich or pastry while having some alone time away from campus and my hectic daily life. My favorite local coffee shop would have to be Caffe Nero, a chain company that can be found all over Boston. It’s cozy, relaxing, and the perfect place for me to read or get some homework done while enjoying a vanilla latte and blueberry muffin. A girls’ night is, without a doubt, one of my go-to ways to de-stress after a long week. There’s just something so relaxing about putting on a face mask, ordering take-out for dinner, and watching a movie with your best friends. Not only is a girls’ night a great way to de-stress, but it’s also a great way to catch up with friends who you may find yourself drifting away from due to conflicting schedules with school, work, sports, etc. My favorite thing to do at girls’ night is to grab a pint of my favorite ice cream and completely pig out with my best friends while we watch a movie. In my opinion, the best girls’ night movies are classic chick flicks like The Notebook, The Parent Trap, How to Lose a Guy in 10 Days, or my personal favorite, Pretty Woman. However, I also love to watch comedies on girls’ nights. My top 3 comedies for a girls’ night would have to be Bridesmaids, Superbad, and Easy A. Having a girls’ night is a great way to take your mind of anything you are worried about while also spending quality time with friends. Journaling is one of my favorite ways to unwind after a stressful day or week. Whenever I find myself worried or stressed out, I grab my journal and a couple colorful pens and write whatever comes to mind. 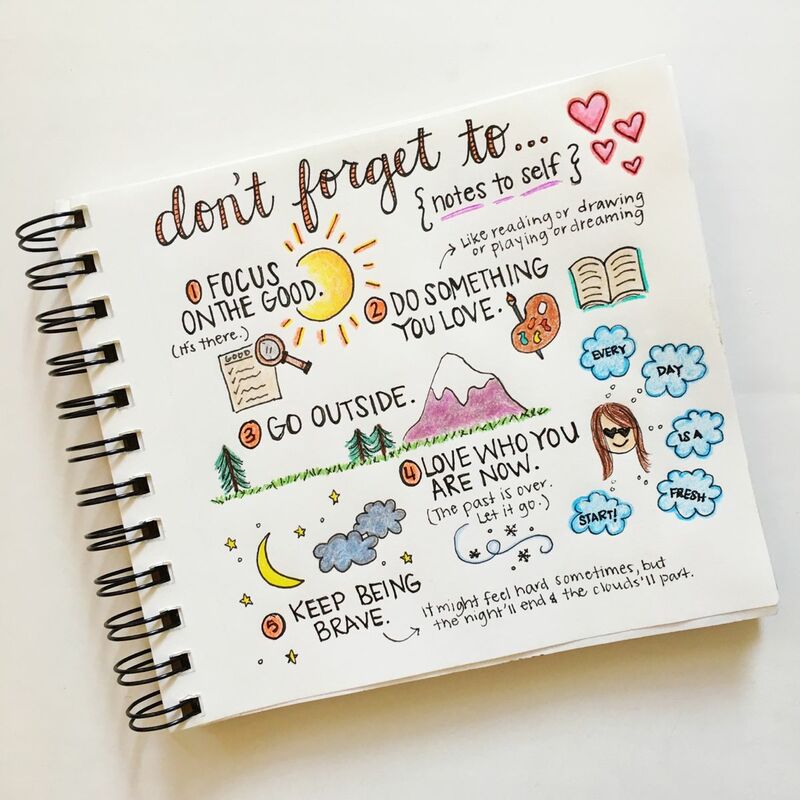 My journal entries contain a wide variety of content, from doodles and sketches to simple overviews of my day or week. Sometimes, I write small poems, and other times, I make lists of things that make me happy. However, one of my favorite ways to journal is by writing down a quote and then reflecting on what it means to me. I also journal a lot about what I’m thankful for in my life. By focusing on creativity and the happy parts of my life, the stress of my daily life slowly fades away. While journaling may not be for everyone, I recommend that everyone try it at least once. Writing may not be your thing, but your journal entries don’t have to be magnificent, flawless pieces of literature. Your entries can be raw, emotional, and passionate because in the end, it’s your journal, not anybody else’s. Another way I like to relieve stress after a particularly taxing day is by turning on my favorite song and just dancing it out. After a long day or week, I go to my dorm room, turn on my speaker, and blare my “Dance it Out” playlist while just singing and dancing around my room. Dancing it out in my room always increases my energy and never fails to put a smile on my face, even after the most stressful day. Singing and dancing to your favorite song, even if it’s just for 5 minutes, is a great way to get your heart pumping and your body moving. My current favorite songs to dance it out to are “Freedom! 90’” by George Michael, “The Middle” by Zedd, Maren Morris, & Grey, “Faking it” by Calvin Harris, Kehlani, & Lil Yachty, “I Like Me Better” by Lauv, “Tequilawine” by Olivia O’Brien, and “It’s My Life” by Bon Jovi. I also love to look at Spotify’s “New Music Friday” playlists for new songs to add to my “Dance It Out” playlist. Even on the most stressful days, dancing and singing to your favorite songs is a great way to de-stress and make yourself more energized.